Everything’s so awkward right now. 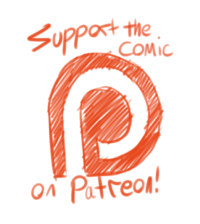 Also just kind of an aside: The Patreon is like $3 away from the next goal. 5-14: You and me both. Let’s see what’s going on over here. Apparently Nicole’s not very good at relaxing. By the way Volume 4 is now out! Get a paper copy here. Or get a digital copy here. 3-43: You better hope you’re fireproof. Jordi still hasn’t figured out that whole assertiveness thing. Also it’s weird drawing him in a suit again, but I kind of like it. 3-38: That candy’s not gonna survive the night. Jeremy, you look like a panda. Also quick reminder: NC Comic Con is this weekend! If you’re going to be in or near Durham North Carolina you should come see me!